My Thoughts: FINALLY after what seems to be a month or so about finishing this book, I FINALLY HAVE THE REVIEW UP. Anyway, I am all about this series now it’s not even funny. I don’t even know where to begin. I still find it amazing how I started out with favouring Cleo the most. Now, most of the characters are near and dear to me! We got to see so many relationships strengthen between what I like to call our “core four” (Cleo, Magnus, Jonas, and Lucia). Most of my favourite scenes involved a lot of Cleo and Magnus and their interactions. We were introduced to some new characters such as Princess Amara, Felix, and a few others that I shouldn’t say. I loved seeing the interactions between Nic and Prince Ashur, Cleo and Lucia, and Felix and Jonas. I really liked how we got to hear more about the Kindred, Eva, and Melenia. This instalment was so action packed and intense I can’t possibly write down all of my thoughts. The amount of character development is so great. We finally have Magnus thinking more ambitiously about what he wants and how he is going to get it. Magnus also starts to care more about Cleo, but I’ll discuss that later in the spoiler section. I just love Magnus a whole lot more now. I have said before that Lucia isn’t my favourite out of the core four, but from this point onwards, I can see her being someone I root for. Her determination to find the Kindred is so strong; my only wish for her is to use the Kindred for herself and not for King Gaius. Lucia is seriously a force to be reckoned with. For Jonas, I feel like he isn’t doing a great job of being a rebel. If anything, he’s just getting a bunch of people killed. Nonetheless, I still believe in him; Jonas needs a nudge in the right direction (preferably by Felix). As for Cleo, my child, there were so many times where I felt nervous for her. Cleo still has her eye on the prize: to reclaim her kingdom from the terrors of King Gaius. Synopsis: Sloane has always been the one to make Emily’s life interesting. 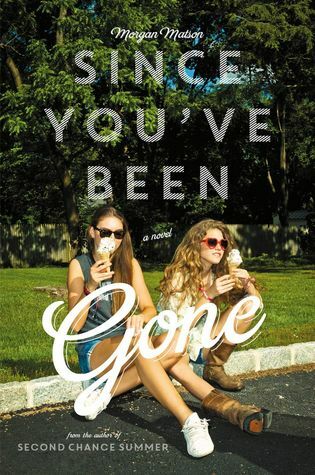 But right before what would’ve been the best summer ever, Sloane disappears without a trace, only leaving a to-do list behind for Emily to complete. This list had activities like apple picking at night, dancing until dawn, and even skinny dipping! Hoping that completing the list will somehow bring Sloane back, Emily has the unexpected help of Frank Porter to accompany her on this adventure through the summer. Along with the tasks of completing the list and finding Sloane, Emily will also learn how to find herself. My Thoughts: Without a doubt, I absolutely loved this book. I completely identified with Emily during the first half of the book. She is described as being “shy since birth” and is usually the girl in the background; she is known as “Sloane’s friend”. Emily also depends on Sloane to step into situations whenever Emily gets nervous or flustered while talking to people. I totally understand where Emily is coming from because sometimes I get nervous when I talk to people I don’t know and I get my friends to do it for me instead. Sloane’s absence often leaves Emily thinking of things like “if Sloane were here, she would know what to do.” I do wish that Emily had more confidence in her self whenever she talks to people. But I do understand that everybody has their own starting point in order to grow. Thus, the list was created for this exact purpose; to pull Emily out of her shell and show her new experiences. Initially, the list was one of the factors that got my attention into reading this particular book. Leaving behind the list with activities like sharing secrets in the dark, asking for Mona on this certain street, and sleeping under the stars truly intrigued me and made me wonder if Emily would actually be down and go through with it. Part of me wishes that I had a summer like this with my friends. There was something so satisfying about completing tasks; I felt whole and content whenever something off of the list was done. It was like everything fell into place perfectly. After each new experience, we got to witness Emily gaining confidence within herself and solidifying more and more relationships. I couldn’t help but cheer her on. It was great to read about a person I can relate with being able to do some of these crazy things. This book made me feel like I could do some of these things as well. My favourite thing about the list is that everything is completely random but then goes with the flow. For example, Emily would start off her day focused on completing one task but ends up finishing a different task instead. Like this one time she was set about asking for Mona, but then ends up apple picking at night instead. It showed me that although some things don’t go according to plan, everything will work out alright. Throughout the flashbacks in where we got to see Sloane, I liked seeing what kind of a person she was; I liked seeing that she and Emily had such a close relationship. We also got to know Sloane even thought she presently isn’t in the story. I also liked the new relationships that Emily formed with the people around her. Watching the slow friendship develop between her and Frank made me so happy, but I’ll get into that in the spoiler section. I thought that Emily’s relationship between her brother Beckett was super cute and nice, but I wanted to see more of their interactions especially after this one point in the book. Friendship is a huge focus in the story. I loved seeing Emily form her own friendships without being majorly attached to Sloane; she was learning to be her own person. Frank and Emily becoming friends was once of my favourite parts in this novel. Frank is such a nice person who cares for everyone’s well-being. When Emily frequently kept running into Frank, I just knew that things were going to go well. I absolutely loved it whenever Emily and Frank ran together; this was their way of getting closer while listening to each others’ music. Once thing started getting serious, like sharing secrets under the stars and the slow dancing at the wedding with each other. I just knew that this friendship was something more. BUT, I had to keep reminding myself that Frank has a girlfriend and that it wouldn’t be okay if they got too close. Ultimately, I loved their ending together. Living room theater would be such a fun thing to experience. I wouldn’t mind having a bunch of my friends over acting out a play for fun. I can already see it now, the chaotic mess and hilarity in my house. I’m glad that we finally got to meet Sloane in the present day. The amount of time felt so short while Emily and Sloane were catching up; it felt so rushed. But it is understandable considering that Emily had to be back at home before her family. I liked how Emily made her own list for Sloane before she left. I am so glad that they have decided to stay in touch even through the distance. My favourite item on Emily’s list for Sloane would have to be the one about “dating someone who waits until you get inside of your house and then drive away”. It was something along the lines of that and I just thought it was so cute and completely relevant. My favourite activities on the list that were done would ha.e to be the times when Emily shared some secrets in the dark with Frank, the fake Penelope ID, sleep under the stars, and hug a Jamie. I loved seeing Frank and Emily get closer together; I couldn’t help but gush everywhere to everyone. The whole situation with the ID had me laughing so hard when that person accused Emily about being the Penelope who stole her man. When Beckett found out that he couldn’t go camping with his dad, I felt so sad for him; he was looking forward to that day for so long. Emily spending the night under the stars just talking to her brother touched my heart. The talk that they had about wanting to spend more time together touched my heart. The hug a Jamie task got us closer look into Dawn and Emily’s new friendship. Whenever Emily gained a new friend, I felt ecstatic. Ending the night with hugging James from the gas station was such a nice way to end the chapter. I couldn’t ask for a better list. All in all, I for sure recommend this book to everyone. Morgan Matson has done it again. I thoroughly enjoyed this adventure and it totally will be on my favourites list. In a well ordered universe, everybody would pick this book up. I started the month with The Heir by Kiera Cass and it was exactly as I had expected it. One thing that I loved about this book, was that we got to experience the Selection as the Selector instead of the Selected. Seeing the vast amount of boys trying to hold Eadlyn’s attention was fun; each of the boys have their own quirks and cute things about them. I’m excited to see who becomes Eadlyn’s endgame. 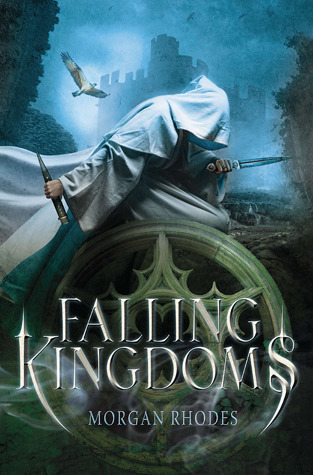 The Falling Kingdoms series by Morgan Rhodes has quickly grown to become one of my favourite series during this past month. 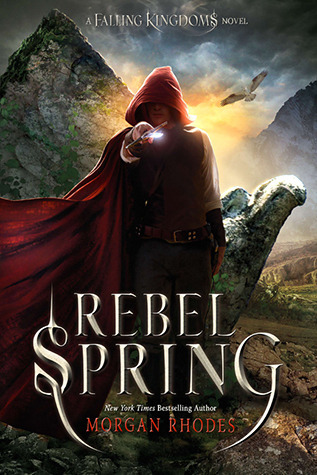 I do have review up for Fallen Kingdoms and Rebel Spring here and here. 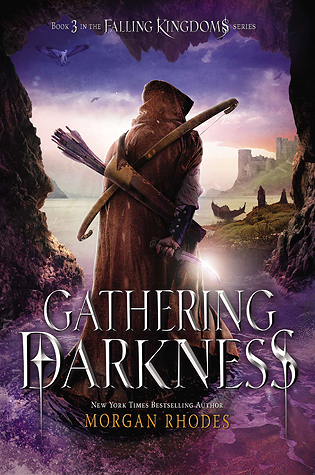 I have read Gathering Darkness, but I haven’t had the time to review it yet. (It is on the way and will be linked here when it is posted). I seriously recommend it to everyone. The Gathering Darkness review is here. The Heart of Betrayal by Mary E Pearson was one of my most anticipated books of the year. I don’t want to go into too many details because this is a sequel to the first book The Kiss of Deception. All in all, it was a solid book that left me wanting more. I must read the final book as soon as possible! I’m thinking about doing a review on this book as well, so I’ll leave a link here as soon as it is up. Once again, July has been a great reading month for me. I hope that I have enough time this month to read as much as I can. Synopsis: This fantastical story takes place in three kingdoms of the country Mytica; Auranos the southern kingdom, Paelsia the middle kingdom, and Limeros the northern kingdom altogether make Mytica. Although the story is told in multiple points of view, the intertwining perspectives of “The Princess” Cleo, “The Rebel” Jonas, “The Sorceress” Lucia, and “The Heir” Magnus, along with some other characters, meld the story together into a fast-paced adventure that you won’t want to put down. Power hungry rulers, shocking murders, and quests to find magic all take place within these pages. With the country on the brink of war, some kingdoms will rise into victory while the others will fall. My Thoughts: First and foremost, hooray to me because this is my first book review! Alright, so. I decided to pick this book up after witnessing the large amounts of hype surrounding it on YouTube. I figured, hey, if everyone is checking it out, then maybe I should give it a try. Anything fantasy is immediately right up my alley. This novel was also described as being a young adult version of Game of Thrones aka a series that I truly love. With these few reasons, I dove into the book with at least a few expectations.